Happy Monday, friends! Hope you had a great weekend. 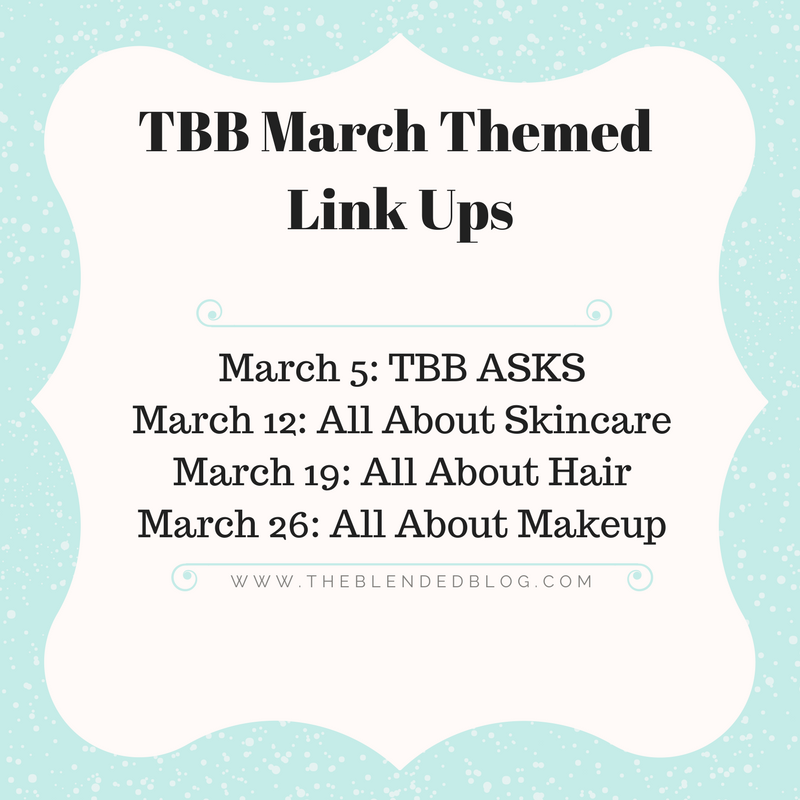 Today I'm linking up with The Blended Blog to talk about skin care. I wrote this post last year, and since I'm a creature of habit and nothing has really changed, I'm sharing it again today. UPDATE: I'm still using all these products, although I've also discovered facial masks and I love them, even if I look like an alien and scare my husband whenever I put one on. This tinted moisturizer is a new favorite, and I swap it out with my Supergoop a few days a week. 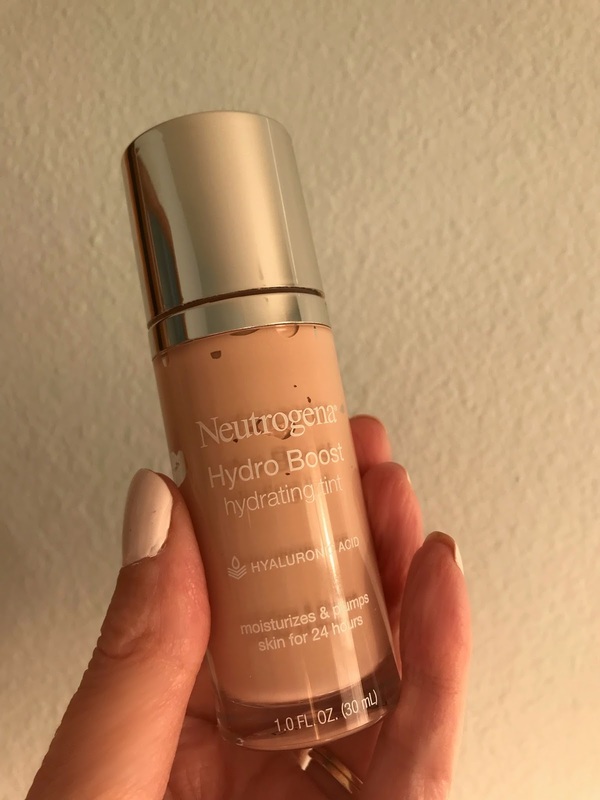 It's light and covers really easily, plus it has hyaluronic acid, a definite plus at my age. 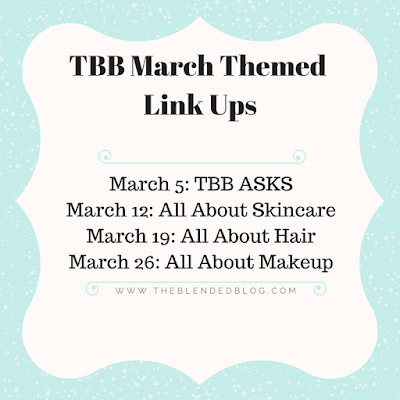 Head over to The Blended Blog and link up your skincare secrets, and be sure to come back next Monday when it's all about the hair! I have been using Cetaphil for years as a cleanser, like literally 20+ and I love it so much!! I have been using Boots No7 but I need to add back in the Revitalift cream, it has always been a fav too. Yes to Hyaluronic acid, heard so much good about it, I once had a Vitamin C serum with it in it and really should be using it again. I don't use a lot of face products but must love the ones I do and these are great! No wonder you look so young! Well thank you! I always wore sunscreen, but the older I get the better care I take of my face overall. My daughter's Dermi recommended Cetaphil. It's a great product! I've used it ,too, but I like to switch up from time to time. Once I find something I'm terrible about switching it up. But I think it's better for your face to try new things! I agree Lana, no need to spend a lot on a cleanser - I love Cetaphil and Cera Ve - right now I'm using the Walmart brand but I'm switching back - it's a little to watery. I love Revitalift and Vitamin C serum. You have lovely skin and how nice that your derm told you that - mine told me my skin is crepey - ha! Thank you Kellyann! Your skin does not look crepey at all - you always look beautiful! I love that you were a rep. How fun. I had heard in the past that Lancome and Loreal were owned by the same company so I've always tried to keep that in mine. 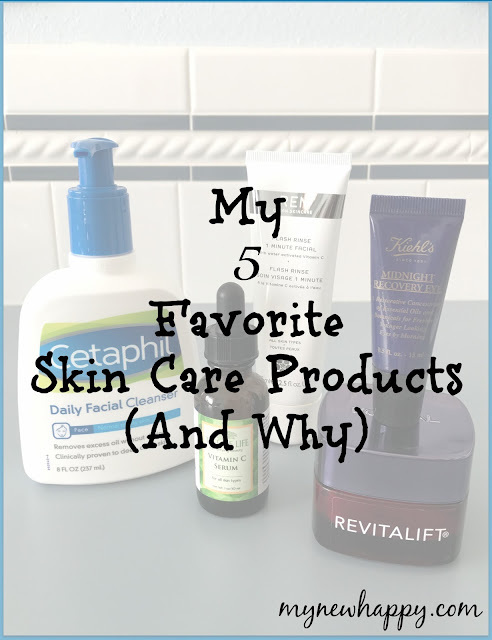 Until my switch to R&F a few years back I used Cetaphil for years and years. My derm said the same thing. Pretty amazing so many dermatologists recommend that. Must me good. Have a great week Lana!!! You too Lisa! My cousin sells R&F so I should probably give some of their skin products a try. I've heard such good things. I wasn't either, but it works really well! I think the Vitamin C is my favorite. And I need to charge my clarisonic and start using it again! I forget my eye cream sometimes, and it's probably the thing I need the most! Cetaphil really is a great product. Hope your week is great too! 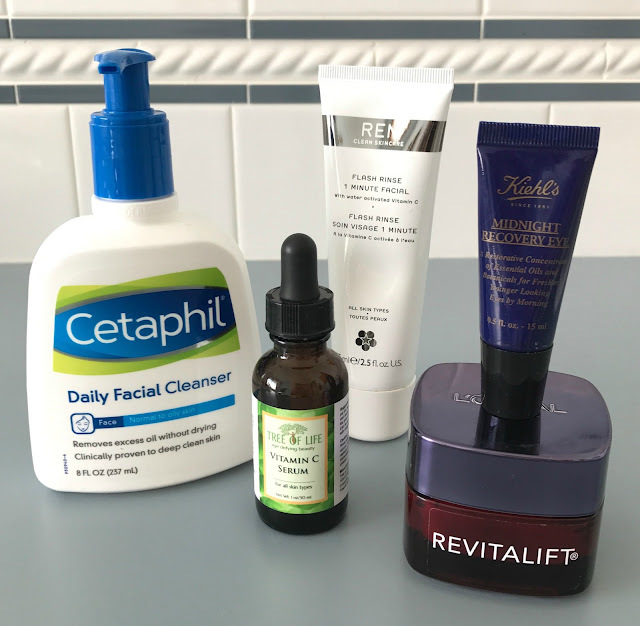 My dermatologist told me Cetephil was the way to go. 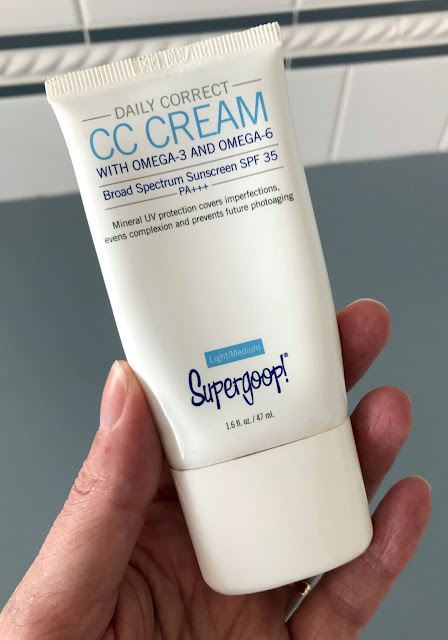 I have super sensitive and acene prone skin so I find it difficult to find the "right" products. I am really interested in trying out the 1 min. Facial you mentioned. Thanks. The one minute facial is really good! And I think Cetaphil works for everyone. The cleanser in NuSkin is much like Cataphil, and fairly inexpensive as well. It was such fun reading about everyone's skin care routine/regime. Happy new week! It is fun - I love learning about new products! I just need to do what you do because you're skin looks amazing. I use that L'Oreal Revitalift cream too. Although I find I can't use during the day as it makes me too greasy. Aww, thanks. I think it's mostly from wearing sunscreen every day. We have a lot in common! Cassidy got me hooked on Cetaphil, and I got him hooked on Vitamin C serum. My face is weird so I mostly only use Egyptian Magic on it. So good! And some nice sunscreen. We definitely have so much in common. You're like my younger sister :)! I've never heard of Egyptian Magic but it sounds interesting! Thanks for the tip on L'Oreal. I wish I could use the Kiehls eye cream but the fragrance makes me tear-up. It smells so good, though. I appreciate your tips about cleanser and the reminder about L'Oreal and Lancome. Your skin constantly creates sebum (oils) and sweat, Sophia Loren Face Cream it sheds dead skin cells and it is presented to residue, earth and contamination consistently. There are a lot more treatments find out this here that seem each year some are obtrusive and other are non careful treatments.